The 2019 NBA playoffs resume at TD Garden on Sunday with Kyrie Irving and the Boston Celtics hosting the Indiana Pacers. Indiana comes into the series winners of three of their last five both straight up and against the spread. Boston has won four of its last five SU and three of its last five ATS. Indiana faced Boston four times this year and managed only one victory. That victory came with a different Pacers team with Victor Oladipo leading the way. Oladipo suffered a major knee injury in late January against the Toronto Raptors. To see his impact on the team, how about a 31-15 record with him in the lineup this year and a 16-19 record without him after the injury. To say that he is missed is an understatement. The Pacers are 5-2 ATS its last 7 games against the Celtics but only 3-8 SU. The total has gone "over" to the mark of 7-3 between the two the last 10. The average loss to the Celtics was 16 points. 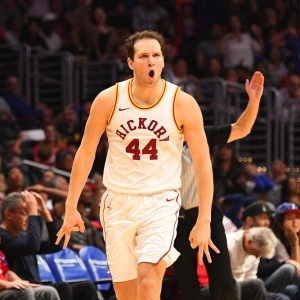 After Oladipo's injury, Bojan Bogdanovic stepped up in a big way. On the season, he's averaged 18 points a game along with help from other key players such as Domantas Sabonis, Myles Turner, Thaddeus Young, Darren Collison, Wesley Matthews and Tyreke Evans, all of which averaged more than 10 points a game. It's been quite awhile since Nate McMillan has seen the second round in the NBA Playoffs. In fact, with 15 years of head coaching experience with the old Supersonics, Blazers, and Pacers, he has an underwhelming 17-28 playoff record. You have to feel for him though. He loses Paul George to OKC, and then loses Oladipo for the year. He just can't catch a break. Kyrie Irving AKA "Uncle Drew" is by far the most talented player on the floor. The numbers this year, however, show that at some points during the year the team was better without him on the floor. If you recall how well the team played in the playoffs last year without its young superstar, they almost beat the Cavaliers and went to the NBA Finals. The logic is that the young players don't need to cater to Kyrie and can just play within its offensive system without pressure to keep feeding Irving the ball. With a healthy Kyrie this year, however, the Celtics will be sure to keep him involved despite his impending free agency and rumors he is headed elsewhere. Brad Stevens is a Top 5 NBA head coach in my opinion. He has made it to the conference finals two years in a row. He has rallied his troops despite Kyrie's injury and Gordon Hayward not being the player he once was. Marcus Smart is out for the series. In fact, he might be out for a month. He suffered an oblique injury against the Orlando Magic on March 30. This will be a big loss for Boston. He is a very physical player and much better from downtown than his replacement, Jaylen Brown. The Celtics are deep enough to overcome this obstacle, but he'll be missed. Keep in mind, two of the four games between these two teams were very close. The other two, however were complete Celtics blowouts. Indiana hasn't exactly been in its best form, and the Celtics will be ready to go with a great shot at making the NBA Finals. I'd say look at the "over" in these games. The over between these clubs this year was 3-1, and two of those overs were by more than 10 points. Boston just has too much talent, and Oladipo's absence will be felt here. Even with Oladipo in the lineup, I would lean Celtics in 6. Brad Stevens is just too good with his game-plan and getting his players to play within his system. Look for Kyrie to be highly motivated with his impending free agency. He will want the world to see how good he really is in order to get max dollar at his next stop (unless he stays in Boston, which sources say is unlikely). The Celtics might not make it to the NBA Finals this year, but rest assured they will make quick work of Indiana.